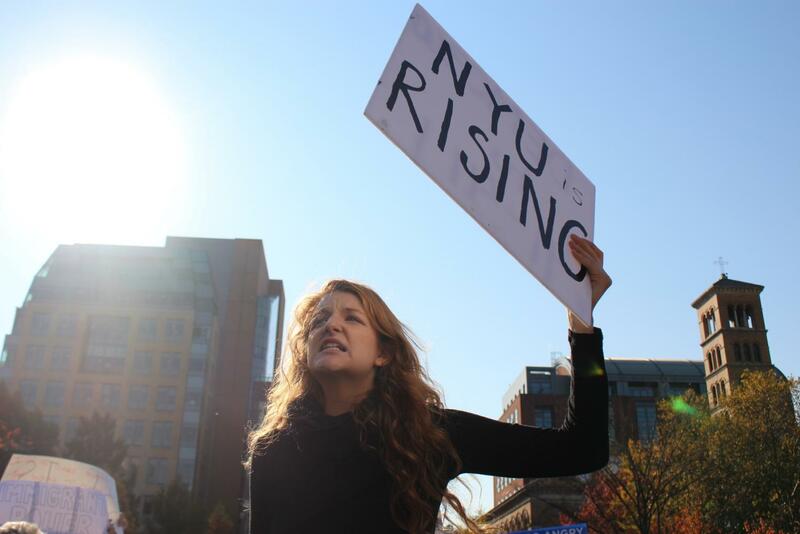 On Nov. 16, 2016, NYU students staged a walkout at Washington Square Park to declare NYU as a sanctuary campus. The Trump administration’s fight against sanctuary cities has recently completed its one-year anniversary, and it doesn’t seem to be stopping anytime soon. On March 8, President Donald Trump said the Justice Department is doing a “fantastic job” getting rid of sanctuary city policies. One day prior, Attorney General Jeff Sessions announced a lawsuit against California over its failure to comply with federal immigration laws. Before that, the administration had consistently threatened to cut off federal funding to jurisdictions that don’t cooperate with them. The administration has even threatened to cut federal funds from liberal U.S. universities like the University of California Berkeley. But just as such rhetoric is misconstrued, so are many people’s understandings of what sanctuary cities actually are. The term has roots in the early 1980s, when churches around the country provided sanctuary to Central American refugees fleeing civil wars in defiance of former President Ronald Reagan’s administration policies. But in a modern context, sanctuary cities can’t completely refuse to enforce federal law. What they can do is limit their cooperation with the Immigration and Customs Enforcement agency and prohibit their police from doing the work of federal immigration agents — unless such requests come from a signed judicial warrant by a federal judge. Since 2014, New York City’s police department and jails do not honor detainers from U.S. Immigration and Customs Enforcement agents unless the person they’re looking for has committed one of 170 serious crimes in the past five years. It further expanded these rules in the end of 2017 with three new laws — one prohibiting New York City agencies from partnering with the Department of Homeland Security to enforce immigration laws — under the 287(g) policy — and prohibiting any use of the city’s resources, property and information to further federal immigration enforcement; another requiring city employees to limit collection, disclosure and retention of identifying information on undocumented people; and lastly, restricting federal agents to access non-public areas of New York City without any previous agreement with city officials, judicial warrants or exigent circumstances. NYU is also part of this movement. Chishti says that the university enforces students’ Fourth Amendment rights, not allowing ICE agents to come on campus unless they have a judicial warrant. Beyond that, NYU has ongoing efforts coming from both its administration and student body, with groups like NYU Sanctuary and NYU Dream Team leading efforts to make our undocumented students feel safe on campus. Although these moves are seen as acts of civil disobedience in the eyes of the current administration of the United States, they’re actually very legal. Kirk notes, however, that this is not exactly blanket protection from ICE. Despite increasing numbers of cities joining this movement, there was a 30 percent increase in arrests nationwide compared to 2016 according to the Pew Research Center. Under the Obama administration, over 2.5 million people were deported. Yet, 87 percent of unauthorized people in the United States still felt safe, according to the Migration Policy Institute’s analysis. The difference lies in how administrations dealt with this issue. Under Barack Obama, priority guidelines, called Morton Memos, protected unauthorized people, who were not high prize criminals or priority removals. Under Trump, these are gone. This means any encountered unauthorized person must be removed — no exceptions. Chishti said even in difficult atmospheres like this, people have rights. “I think what people should know is that even in difficult atmospheres like this, people have rights, and those are important constitutional rights and they apply to everyone without regard to their [immigration] status,” Chishti said.